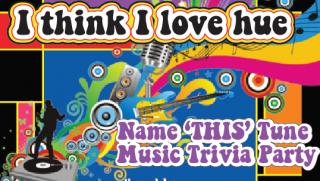 Everyone is welcome to attend this fun and friendly music trivia competition hosted by Shawn McCart. Bring your friends and family to create teams (tables of 10) and compete for prizes as you answer questions about your favourite colour and art related songs. Don’t worry if you have a smaller group, we will fit you in! We will have prizes for best costume, top teams, most spirited, a 50/50 draw, snacks and loads of fun and surprises to support the St. Catharines Art Association Scholarship Fund. This is promising to be a great night out! While you are at Club Roma you’ll be able to check out the current SCAA show on display throughout the building. Tickets are $25 and available by emailing business@stcatharinesart.com, or by going to Eventbrite: bit.ly/2UTdQpk.